This deodorant by EnergyBalance™ is natural, fragrance-free, hypoallergenic and does not contain aluminum chloride. The deodorant roll-on is made of natural potassium crystal, slows the production of bacteria and prevents build-up of unpleasant odors. It lets the skin breath and perspire naturally. The deodorant by EnergyBalance™ is perfect for all skin types, even very sensitive skin. It effectively protects against unpleasant odors throughout the course of the day and is fragrance-free, which means you can wear it with any perfume. It is particularly favored in Asia where it is used as a natural antibacterial agent and deodorant. Potassium crystal is a mineral compound made up of alum and potassium crystals - a completely natural product. Sweating is a natural bodily function that regulates body temperature. Many bacteria find sweat zones to be the perfect environment in which to multiply. These bacteria are responsible for unpleasant odor. 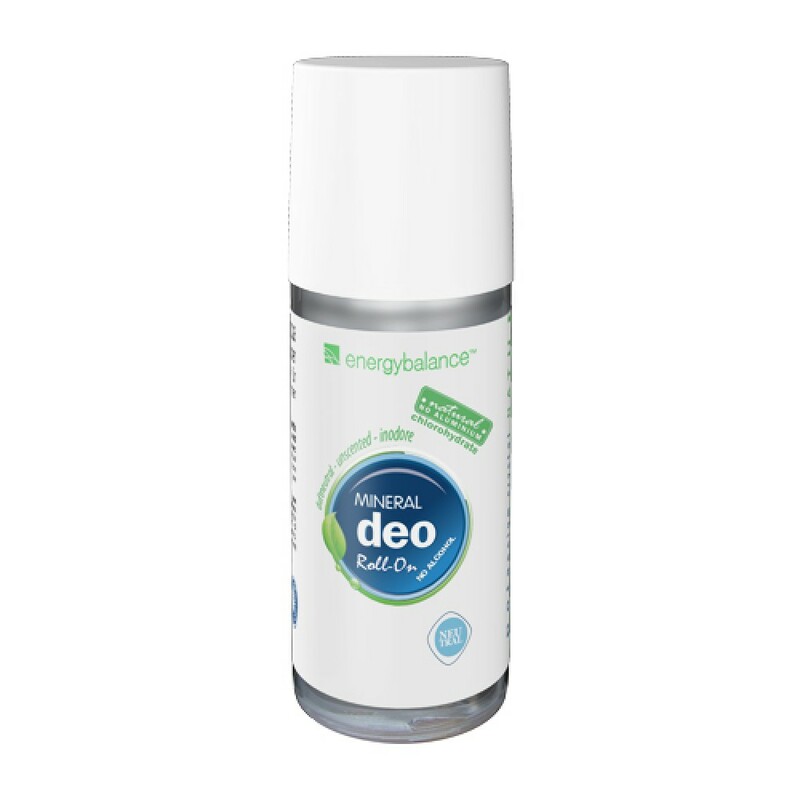 The deodorant by EnergyBalance™ slows the production of bacteria and prevents build-up of unpleasant body odor. It lets the skin breath and perspire naturally. The deodorant by EnergyBalance™ is naturally antibacterial and perfect for all skin types, even very sensitive skin. With the gentle, subtle scent of organic Grapefruit and Chamomile. The EnergyBalance™ deodorant without aluminum chloride effectively protects against unpleasant odors throughout the day. With its very gentle, subtle organic scent, it can be combined with any perfume. And it won't stain your clothes or leave residue on the skin. Instructions: Apply to clean skin. 100% natural, plant-based, does not contain alcohol, hypoallergenic, fragrance-free, no animal testing, does not contain aluminum chloride.